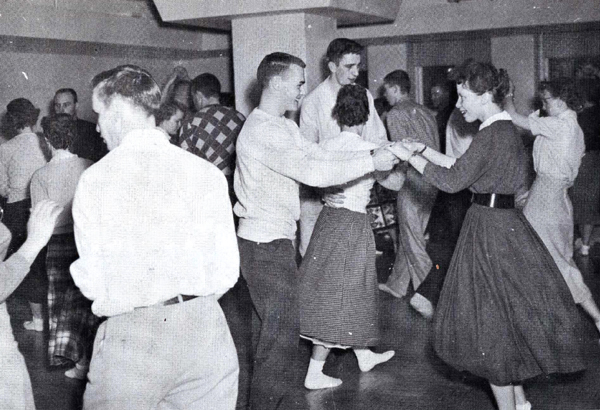 In the rockin’ 1950s high school dances were 10xs more fun than now. Why? Because if you were on the dance floor you were required to take off your shoes and honestly, what’s more fun than dancing in your socks? Sock hops were the inspiration for the song “At The Hop” by Danny & the Juniors that we used in our new Easter Starring You eCard: The Hop. It was completely obvious to us that this 1957 hit single by a doo-wop quartet from New Orleans could be relevant in 2011 with dancing Easter bunnies. Have you done The Hop? This entry was written by paulhanges and posted on April 15, 2011 at 9:41 am and filed under New Content. Bookmark the permalink. Follow any comments here with the RSS feed for this post. Trackbacks are closed, but you can post a comment.